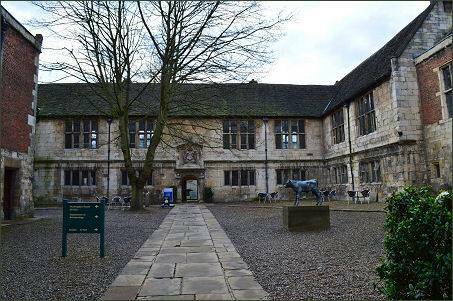 The King's Manor, a Grade I listed building now forms part of the University of York and backs on to the ruins of St Mary's Abbey, now in the Museum Gardens. 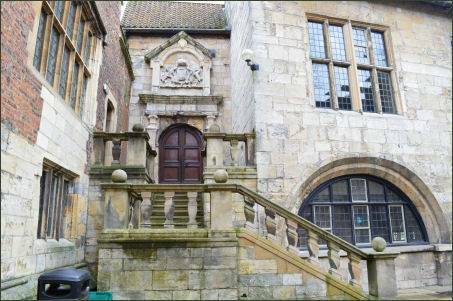 It was originally built in about 1270 as the Abbot of St. Mary's Abbey's house. 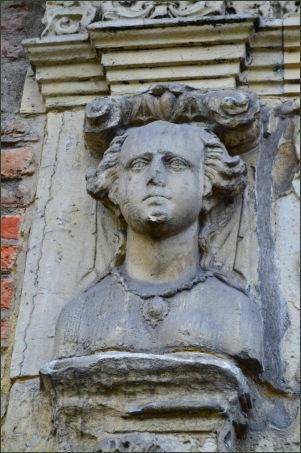 The dissolution of the monasteries under King Henry VIII saw the closure of St Mary's Abbey in 1539. The Manor, however, was appropriated by the Crown and became the headquarters of the Council of the North. The former Council Chamber now serves as the refectory café. 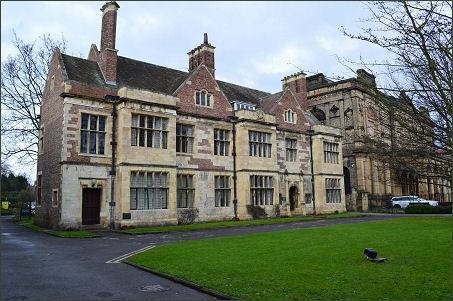 King's Manor became the official residence of the Presidents of the Council of the North and served this function until until the Council of the North was abolished in 1641. It played host to visiting royalty on a number of occasions. 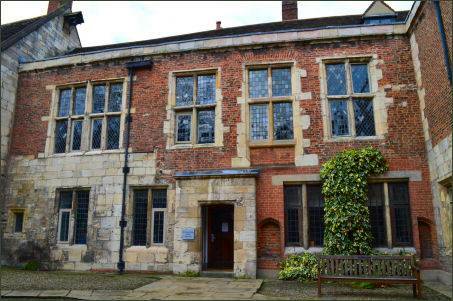 Henry VIII, James I and Charles I all stayed at the house. 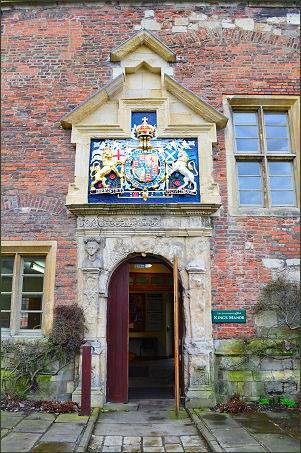 The coat of arms above the main entrance is that of King Charles I. 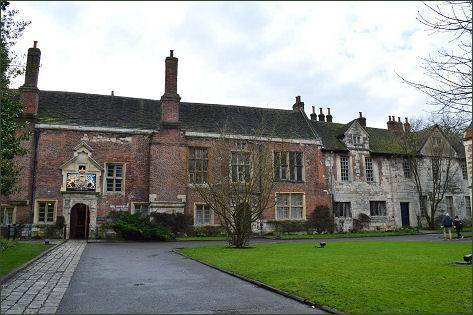 During the Civil War between crown and parliament (1642-1651), King's Manor became the Royalist headquarters in York and was the scene of fighting between Parliamentarian forces and Royalist defenders of the city. 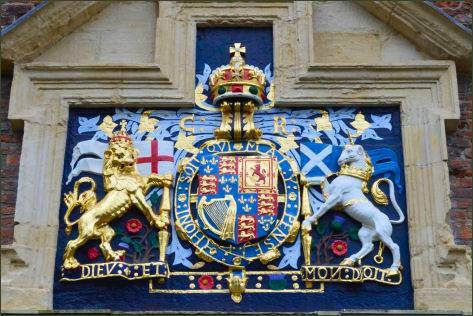 When the Royalists were defeated in 1644 by Oliver Cromwell's Parliamentarian forces at the Battle of Marston Moor, just outside York, the king lost control of the north of England and King's Manor surrendered. During the 'Glorious Revolution' of 1688, when the Protestant William of Orange landed in England to challenge his uncle, the Catholic James II, the Governor, Sir John Reresby, remained loyal to James II, but a party of armed men, led by Thomas Osborne, Earl of Danby, captured the Manor and the City of York and held them for William.